Are you or your business using the cloud? The answer is almost certainly yes, even if you don’t think it is! That’s because the cloud is part of almost everything on our computers these days. If you have an Instagram account, you’re using the cloud. Back up the photos from your phone? You’re using it. If you use One Drive, Google Docs or Office 365 you’re using it. So, what is the cloud exactly, and why do we talk about it so much? 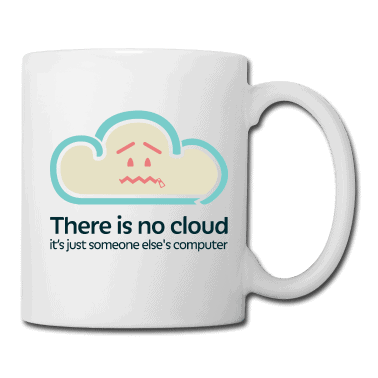 Of course it isn’t, the cloud is a shorthand term for cloud computing. There is some debate on who came up with the term cloud computing. The first known use was in a Compaq internal document produced in 1996. But it is the then Google CEO Eric Schmidt that is credited with introducing the phrase to the world at an industry conference in August of that year. So, if your data, photos and documents aren’t being stored in a white, fluffy cloud floating around in space, where are they? That’s it really. What is the cloud? It’s simply somebody else’s computer, or more accurately someone else’s servers. Lots of them. So, the cloud is not a physical thing, it is a network of servers, all used to store different things. It all starts to sound a little less high tech now, doesn’t it? There are a number of advantages to moving to the cloud, the ability to sync documents across devices, access documents from anywhere, have multiple members of staff work on a document from different locations and so on. However, the business decision to “move to the cloud” is often financially motivated. Instead of buying fast depreciating IT hardware, the cloud allows businesses to rent bits of other people’s servers – only paying for exactly what they need. The machines in the business become cheaper, requiring less storage as everything is in the cloud. With options such as remote desktop your whole business infrastructure is in the cloud, with nothing stored locally. The laptop or desktop is effectively a ‘dumb terminal’ used simply to log into the external servers. The Chromebook is an excellent example of this. The laptops run Google Chrome as the operating system, so the computer itself just runs the browser, everything else is based in the cloud. 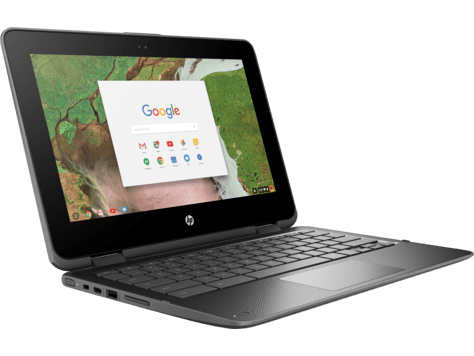 Chromebooks are fast, relatively cheap and offer fantastic battery life. This model is also scalable, up or down. When required, a business can take on additional resources and can equally scale back when needed. Software and applications now utilise the cloud, again this offers the business flexibility and a reduction in upfront cost. In times past if you took on a new member of staff you bought a software licence at a cost of hundreds, or sometimes thousands, of pounds. If the employee didn’t work out, you were stuck with the licences. Now you just add another licence your subscription, pay a few pounds a month, and then cancel it again if things go wrong. OK, that might sound like the perfect solution but let’s not be too hasty. There’s a saying that we at Your IT particularly like ‘Just because you CAN do something, doesn’t mean you SHOULD do it’. It is pertinent in life generally but we find it particularly relevant when it comes to technology. There are some disadvantages when it comes to the cloud and these should be carefully considered when it comes to planning a solution. The most obvious disadvantage is that you increase your reliance on 3rd parties. Your Internet Service Provider doesn’t just control access to your email, it now controls access to your files and applications. If you’ve got a slow or unreliable internet connection the cloud isn’t for you. Even for those with a top-notch connection, things can go wrong. So, you need to think about how you work if your connection goes down for several hours. You’re also relying on your cloud provider. If you’re using someone else’s computer, just remember that computer can wrong too. You need to select your cloud provider carefully and, again think about business continuity in the event that something goes wrong. Security is also an issue. A data centre will have better security than a server in your office but they may also attract more attention from cyber criminals. Think carefully about what you want stored in the cloud. Should We Move To The Cloud or Not? As we said at the start you’re already using the cloud but going ‘full cloud’ may not be the right solution. We worry when clients say they want to move to the cloud but can’t really tell us why. A hybrid solution is often the best option, try to leverage as many of the advantages of both on-site and cloud solutions, whilst mitigating the disadvantages and risks. As with any technical solution, we’d recommend talking to an expert. It’s important that as a business you think about what you what your systems to do, how your staff what to work and what information you want accessible to whom. Once your IT company or consultant knows and understands this it’s up to them to come up with a system for doing it for you. At Your IT well offer a free initial IT consultation and network audit. We’ll discuss with you exactly what you want your IT to do and make it happen! We pride ourselves on understanding our clients’ businesses and are more than just an IT company. We are our clients IT Department – an outsourced, but fully integrated, extension of their businesses.